At the start of Interfaith week 3 members of All Faiths Network attended Bandhi Chhor at the Guru Maneyo Granth Gurdwara in Slough, the largest Gurdwara in Europe and the USA (we understood). “Bandi” means “imprisoned”, “Chhor” means “release” or “Day of Liberation” celebrating when “right” prevailed over “wrong”. See http://www.sikhiwiki.org/index.php/Bandi_Chhorh_Divas for more details. It was a great day with many thousands of people attending. Besides creative and artistic activities for children there was the opportunity to try and learn something about archery and defence. See some of the images on our site and also view a short video on the event https://youtu.be/pXb6SI4KV6A. 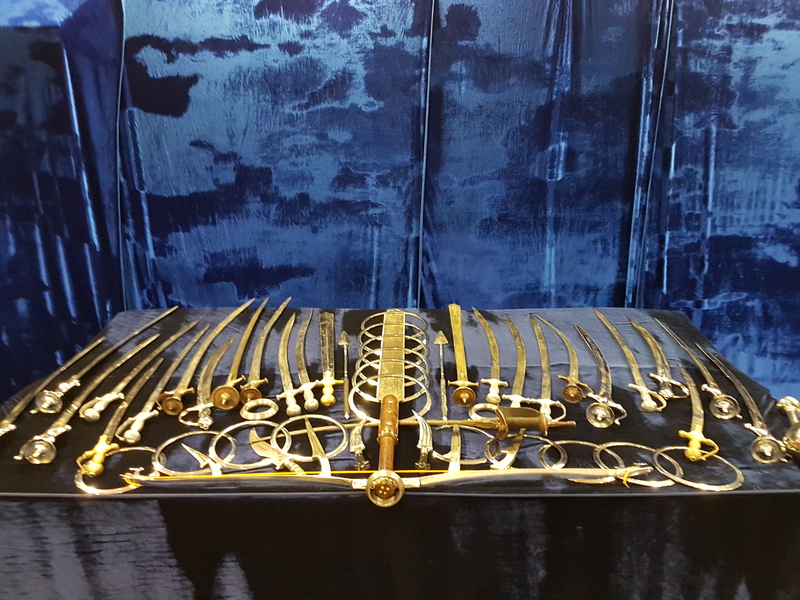 You may have heard of the duty for Sikhs to wear a Kirpan at all times. Anyone wondering why a religion requires its followers to wear what appears to be a dagger should understand two things. 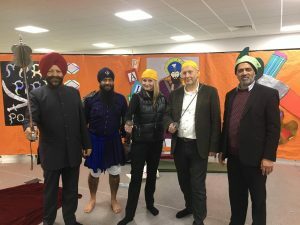 Firstly the Kirpan has its root in the word Kirpa which means “Mercy, grace, compassion, kindness” and the second root is Aan which in turn means “Honour, grace, dignity”. So together the word stands for “the dignity and honour of compassion, kindness and mercy”. 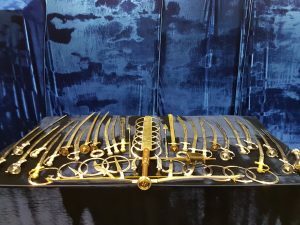 The purpose of the Kirpan is to protect the weak from tyranny and slavery. It’s purpose was to defend not to attack. 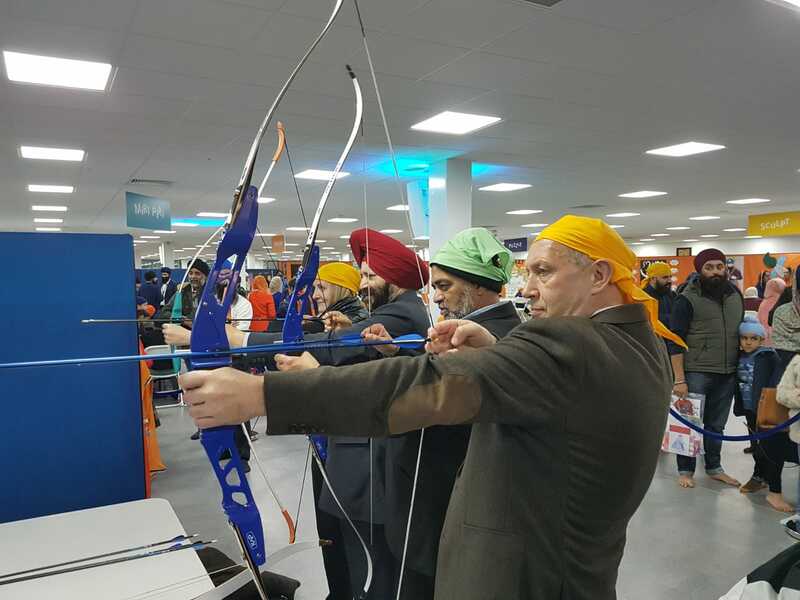 So, in times when Sikhs were under physical threat and suppression they were used to protect themselves and their family. 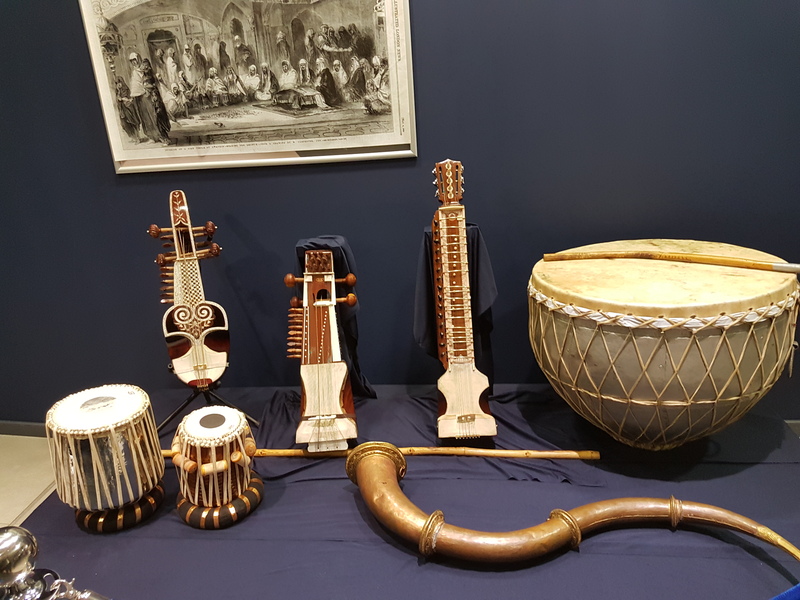 There is also a permanent exhibition in the Gurdwara which displays a range of kirpans, swords and musical instruments along with a series of informative panels about the Sikh faith.